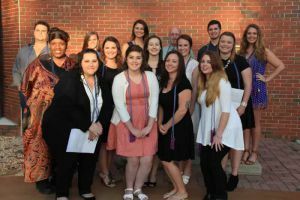 Fifteen Pensacola State students were initiated into Alpha Gamma Eta, the college’s chapter of Kappa Delta Pi, on Thursday, Nov. 3. An international honor society in education, Kappa Delta Pi was founded in 1911 to foster excellence in education and promote fellowship among those dedicated to teaching. 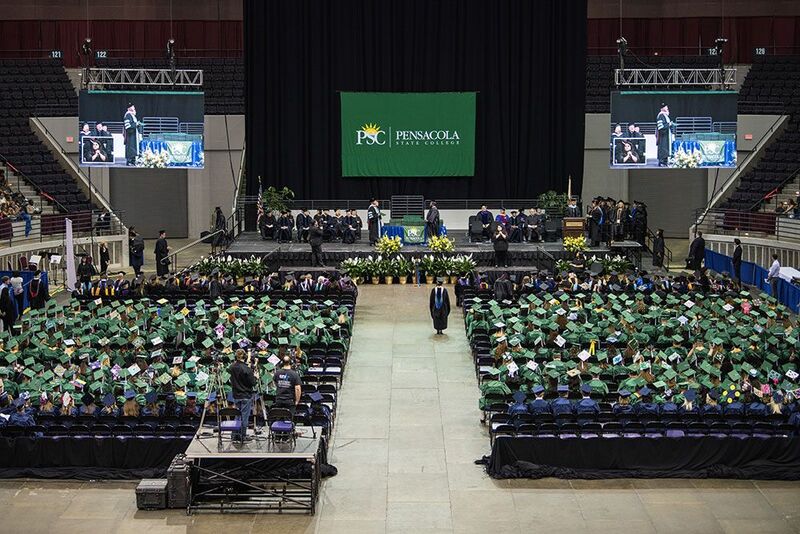 ● Eason Benjamin Smith Jr.
To be invited to join Kappa Delta Pi, education majors must have at least 30 credit hours and maintain at least a 3.0 grade point average, said Betsy Werre, Pensacola State professor and the society’s campus adviser. Craig Dosher, Pensacola State’s History, Languages, Social Sciences, Education assistant department head, shared a few pearls of wisdom with the new initiates and stressed the impact educators have over their students. Those pearls included memories of his fourth-grade teacher, Ms. Perone, who not only taught him the basics – math, reading, English – but also the difference between a dinner fork and a salad fork. “Ms. Perone was my teacher 38 years ago …38 years ago, and I still remember her. It is because of her that I use the Oxford comma in a list of three or more items in a sentence,” he added with a smile. He also spoke of his kindergarten teacher, Ms. Brummet, who sometimes rocked him to sleep in her rocking chair. “My mom saw her in the grocery store a few years back (Ms. Brummet was in her 80s and still going strong). She told my mom that she had listened to a cassette tape of my class where we talked about Halloween. Asked about the existence of ghosts, I apparently answered that there was no such things as ghosts except the Holy Ghost,” Dosher said. “…Anyhooo, Ms. Brummet remembered me and I feel confident in proclaiming that she loved me,” he added. Dosher told the future educators he shared these stories because of the influence teachers can have on future generations.